Journey to the Centre of the Earth: Ecuador! 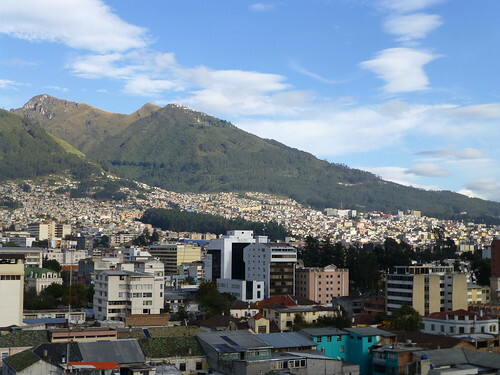 The Crime Traveller / Blog / Journey to the Centre of the Earth: Ecuador! On this episode of The Crime Traveller I take you on a journey to the centre of the earth! 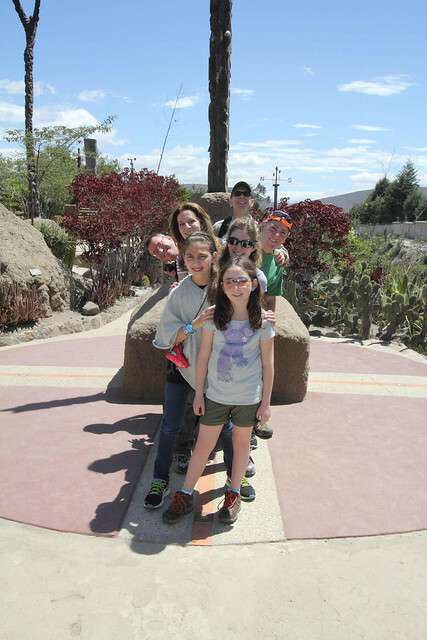 No, not into our planet’s molten core, but to Latitude 0’0’0 keeping one foot in the Southern hemisphere with the other firmly planted in the Northern hemisphere just outside of Ecuador’s capital city of Quito. Visitors can choose from the coordinates established by the French Geodesic Mission in 1736 and visit the official Mitad del Mundo monument or take a short sidetrack to the more accurate GPS-confirmed coordinates where a private entrepreneurial landowner has established a kitschy beachhead of hemispheric pseudo-science. Is it easier to balance an egg on the head of a pin when standing directly on the equator? Does your toilet flush in the opposite direction when you cross the magic line? I’m not sold on the purported ‘experiments’ used to prove the answers to these burning questions, but the photo-ops and laughs make it worth the visit. 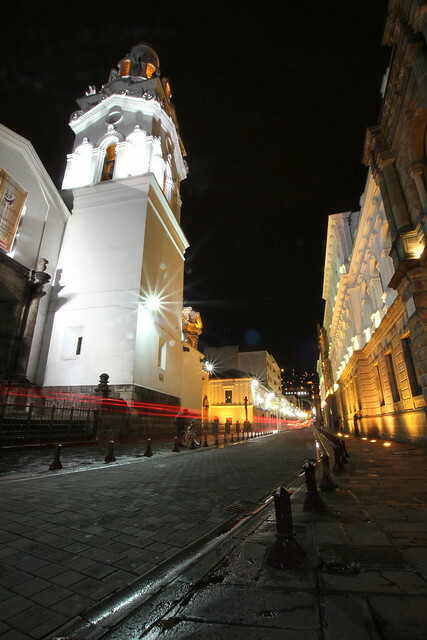 Quito is the world’s second highest capital city (congratulations to La Paz, Bolivia for holding the crown). Standing at 2850 metres (or 9350 feet) above sea level, most travellers will very quickly experience some mild symptoms of altitude sickness – shortness of breath, dizziness, and a first sleepless night are all common. I recommend allowing yourself 24 hours or so to acclimate before attempting anything too physically strenuous. Start your stay with a relaxed morning amongst the colourful artisans and vendors of at the Otovalo Market, spending the afternoon marvelling at the intricate gold work on display at the National Museum of Ecuador. Once you’ve caught your breath, Quito can serve as the perfect staging ground for some excellent day-trips. Hook up with the great folks at Barefoot Expeditions and pick your adventure. 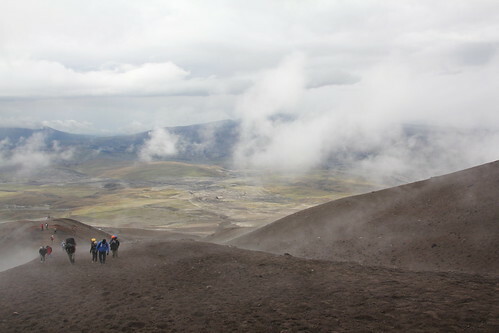 Descend through the cloud forest into the valleys for white water rafting on the Rio Blanco or experience even more vertical with the (relatively) easy climb up the Cotopaxi volcano. You’ll be rewarded with stunning views of the snow-capped caldera and the mountain lake of Laguna de Limpiopungo. Re-energize with soup and hot chocolate at the Refugio Josef Ribasst situated at the edge of the mountain’s glacier 4850 metres (nearly 16,000 feet) above sea level. 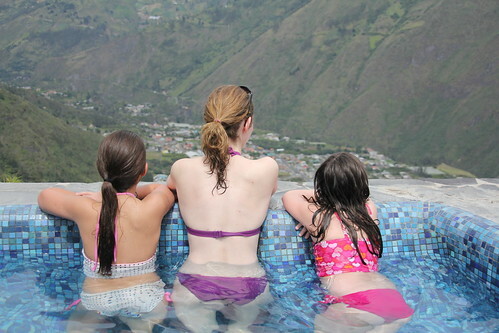 Once you’ve had your fill of Quito, head into the lush Ecuadorian countryside for a soak in the thermal hot springs and lush environment of Banos. The Luna Runtun resort is your gateway to the Ecuadorian Amazon and a perfect place to get acquainted with the mountains, hike the forests, or just sit at the edge of an infinity pool while nibbling on ceviche. 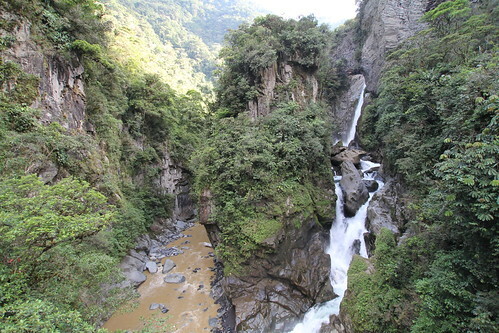 Be sure to save some time for the 20km drive from Banos to see the spectacular Devil’s Cauldron waterfall. A well marked path takes you into the jungle followed by a narrowing stone staircase – watch your head! – that rewards you with a view directly beside the roaring falls. If your curiosity has been piqued, listen to my full NewsTalk1010 show here and tune in April 25 at 9:00pm when we continue our two-part Ecuadorian series with a visit to the Galapagos Islands.